Today we’d like to share with you a major influence of our love, appreciation and respect of the outdoors. This person is one very important historical figure that continues to motivate us to truly live life. Without this man’s intimate perspective on our beloved outdoors, we might not have all of the opportunities to explore that we do today. He lived from 1838 to 1914, and this man’s name was John. 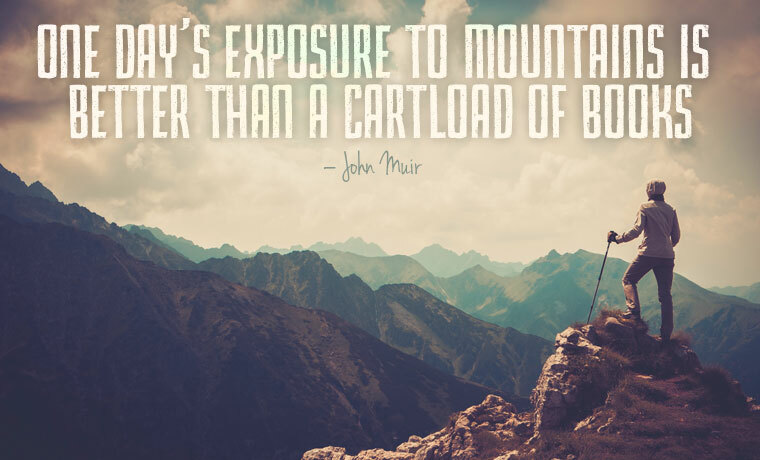 John Muir, also known as ‘John of the Mountains,’ dedicated his life to experiencing the wonderful adventure that wilderness has to offer. After traveling for most of his adult life John wrote a number of literary works revolved around his adventures. He published over 300 articles and 10 novels recounting his experiences, and we would highly recommend that you at least skim one or two of them. If you are craving motivation to love life, get outside or simply experience a new perspective- then these are literary works for you. In 1892 John Muir founded the Sierra Club, a nonprofit organization in California and became the club’s first president. The motto is ‘Explore, Enjoy and Protect the Planet,’ and they’re officially our country’s largest grassroots environmental organization that still fights to bring change. We think it was pretty cool of John to create something so influential that we can support even today. John was one of the earliest advocates for some of our biggest national parks- and everyone knows how much we love to involve state and national parks when we’re moving outside. We encourage you to check out what John left behind, and carry the flame that he handed to the generations that followed him. As you’ve probably noticed, the quotes that we’ve thrown into today’s post are from our good friend John. Take a couple moments out of your day to explore his mind through his writing and take that perspective outdoors. We fall in love with the outdoors all over again every time we read his work, treat yourself to that feeling this week and take time to explore our local outdoor opportunities.